A testing par 3 from the championship tee, this hole requires a long iron to carry the full 186 metres over a gully to the front of the green. From the club tee this hole is less demanding but the penalty for straying can be severe especially on the left, which drops away to an area of trees and rough and invariably a bad lie. Bunkers protect the front of the green (20 metres short) and both sides of the green. The right side is tree lined but less of a problem. 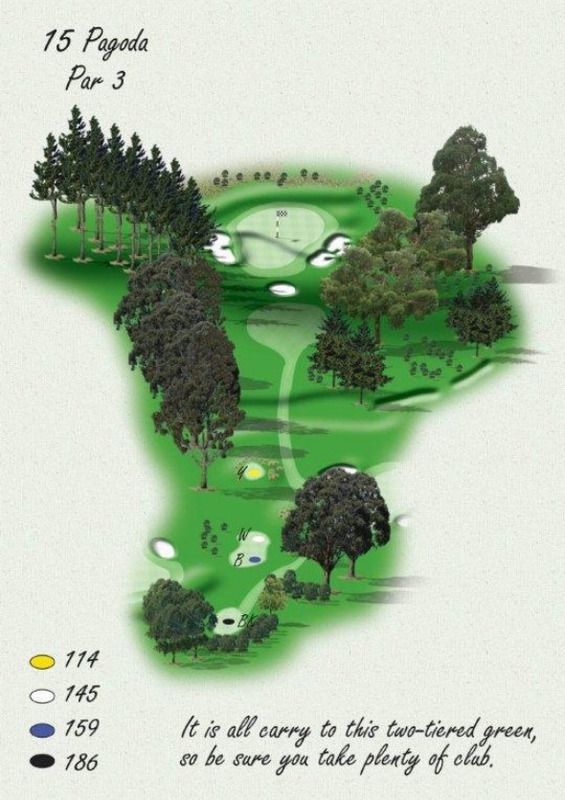 The green is fast with two levels and offers an array of very interesting pin positions.